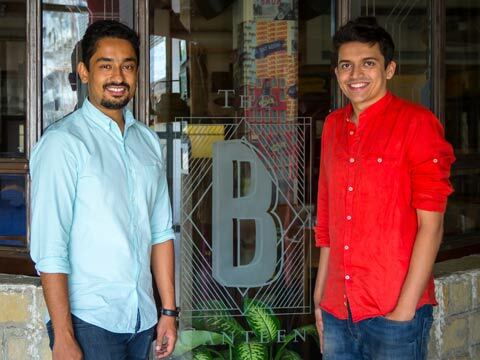 In an exclusive conversation with Sameer Seth and Yash Bhanage, Partners, The Bombay Canteen shares their culinary journey. Started in February 2015, The Bombay Canteen is 10months old Indianised cafe & bar. It is recreated old Mumbai bungalow to an ode to the city’s architectural history. It is the perfect place for a quick snack to a hearty lunch, a drink after work, a night about town or a fun dinner with the family. The response has been really heart-warming so far. As by the end of the day people are getting familiar with the approach. The USP of our restaurant is “India inspire”. We change our menu very frequently like quarterly, even for the beverages. The business model is same as any restaurant. The whole idea is that we want to create an ambience which has fun atmosphere for coming and grabbing in meal at any point of time. As I said we are bar and cafe, we change personality throughout the day. What all is served at your restaurant? We serve India food with a twist, and get inspire what is cooked across the country in cocktails or food. The bar menu includes Indianised cocktails like Dark Monsoon, an Old Monk, Punch Bowl, Canteen Punch. What inspire you to cook Home food? Actually we want to come with the concept that have social and cultural context. We all are grown up eating and sharing home food, the same thing we have in our restaurants. The home food is not only what is cooked at home but also the way we eat it. What are the design elements you kept in mind while designing your ambience? Basically, the whole restaurant is designed in an old Indian bungalow. The flooring pattern is inspired from heritage structure. The stone walls, stained glass windows and tall ceilings lend the restaurant a sense of timelessness. We have a different bakery section for people. What makes you different from other start-ups? Like our concept, we are inspired from what we see around us. We change our menu quarterly, also came up with ideas which are fun and interesting. We also do things for children like ‘Bada Bacha Party’ on children’s day. We are very passionate people and want to do something for our guests. Currently, we don’t have any expansion plans. We just want to focus on this outlet. What is your expectation in next six months? We just want to invest in our team and restaurants. As innovation requires a lot of investments in terms of talent etc, and we also want to train our kitchen and beverage team for new recipes that can be added in our menu. Goli Vadapav on expansion spree, may hit global ma..